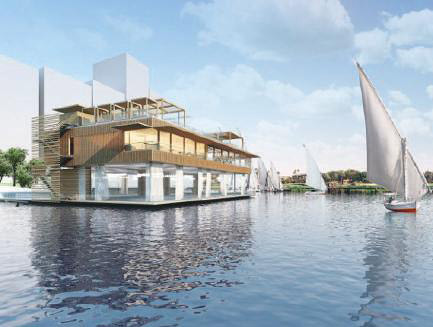 Designed by Galal Mahmoud, architect and founder of GM Architects, The Nile Boat is an ambitious project for a restaurant and events complex floating on the Nile. 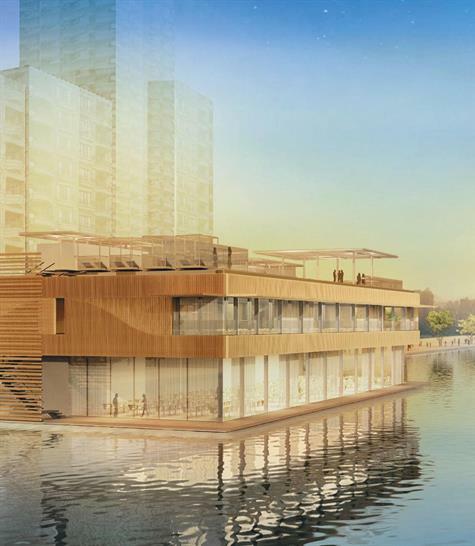 It will be located alongside Maadi, one of the most sophisticated suburban districts of Cairo. 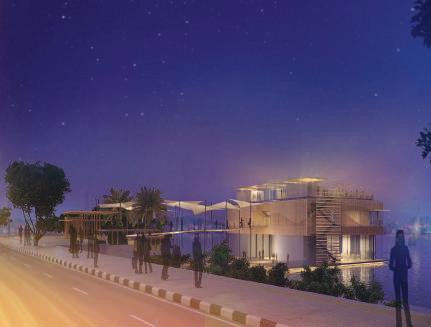 Situated in the south of the city, Maadi is an oasis of greenery and a veritable haven of peace. 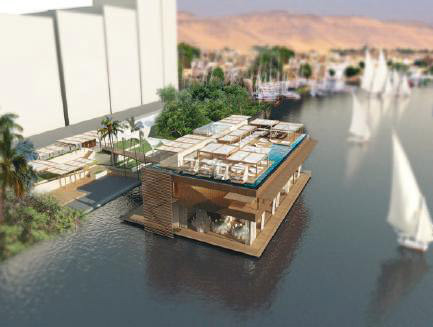 What makes The Nile Boat different is its very original design, its setting and the fact that it draws inspiration from the traditional Egyptian dahabeeyah boats in a contemporary and luxurious style. 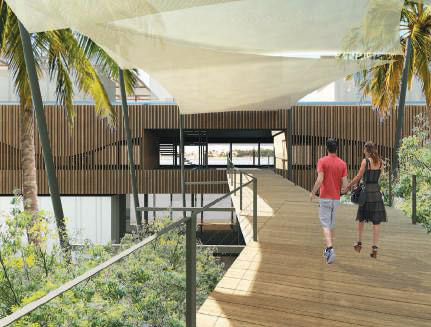 On the roof will be a beach club and a swimming pool while the middle deck will be home to a lounge bar and a seafood restaurant. “I have a great affinity for the location because my parents are both Egyptian. The idea came to me while listening to my mother telling me about her memories of Cairo in the 1950s and in particular the boats which sailed the Nile in that period. 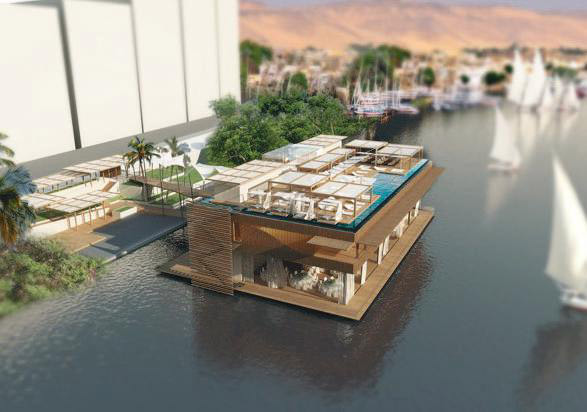 Memories of boat trips on the Nile and a certain nostalgia were the initial sources of inspiration for the project.